10 minutes on the Rumble Roller and lacrosse ball. Mis-loaded bar! Thought it was 350lbs. No wonder it felt so easy. Been trying to get this for a month! 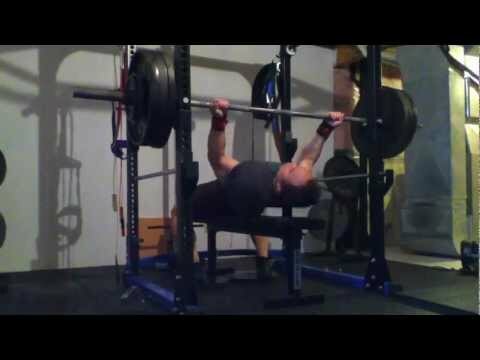 Missed on 2nd set, 3rd rep. I'll stop for now. Got a PR so I'm happy. Hook grip. Wore my Chuck Taylors today. Didn't feel locked out. Looked OK, I think.